An Elegant Clear Crystal Apple with Green Crystal Leaf on a Black Crystal Base. 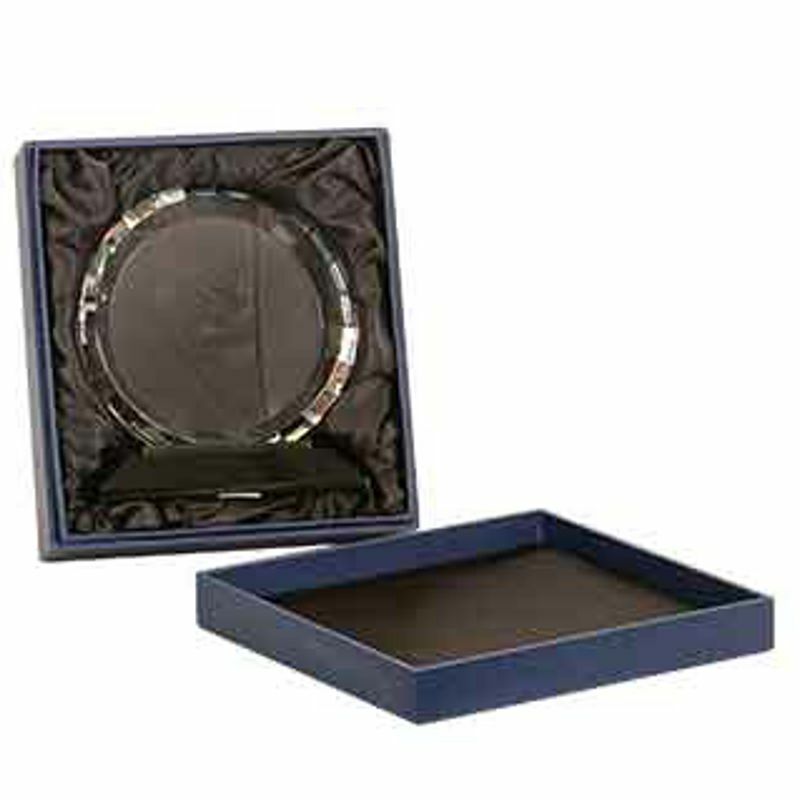 Fully Laserable and Includes Deluxe Velour Lined Presentation Box. 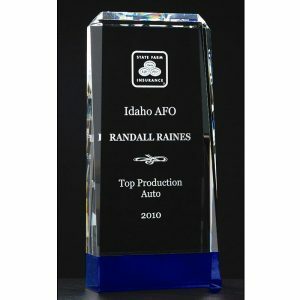 Looking to add your company logo? 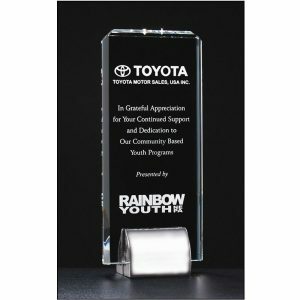 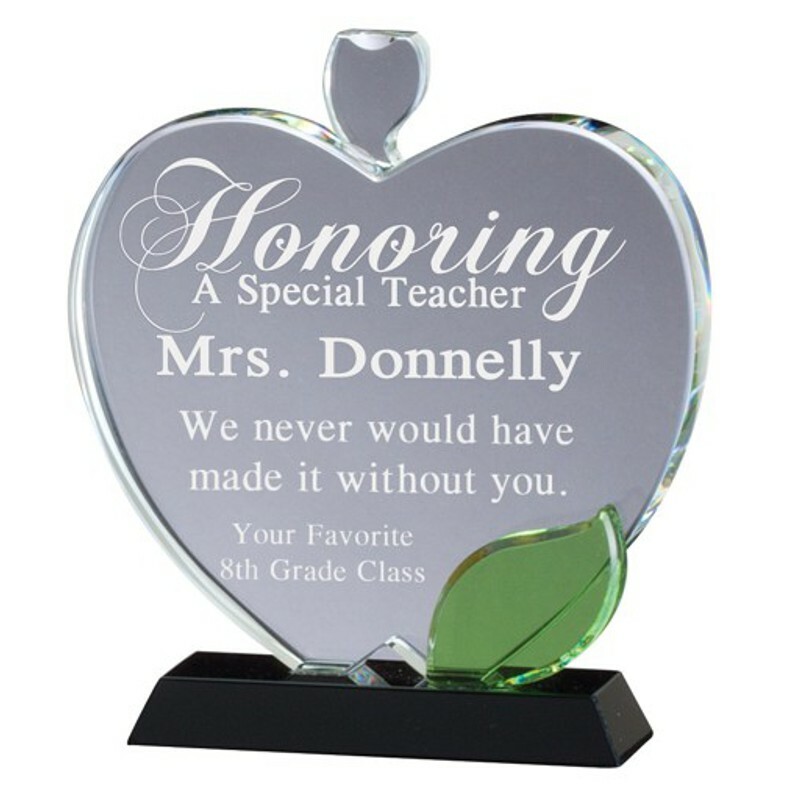 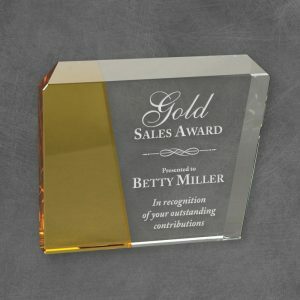 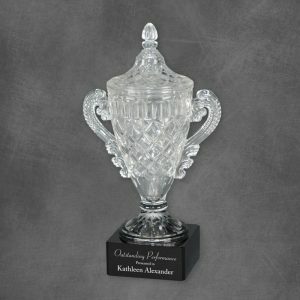 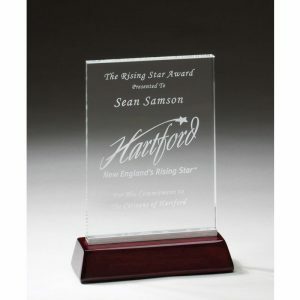 We can etch your design onto most of the awards we offer and setup is always free.